16415 N Dawn Cir Nine Mile Falls, WA. 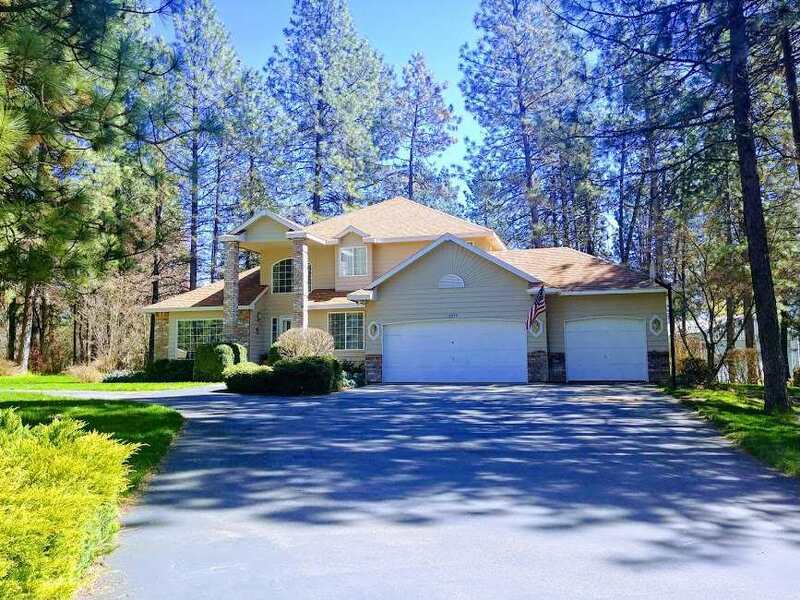 | MLS# 201815932 | Cooper Realty Services (509) 599-1111 | Spokane WA Real Estate | Contact us to request more information about our Homes for Sale in the Spokane WA area. Beautiful setting on 1.01-Acre CuldeSac corner lot. Elegant two story with 4-bedrooms, 4-baths. Lake access, 30 &apos;x 36&apos; shop with 12&apos; doors.Bright open kitchen with oak cabinets, pantry, island gas top stove, d/w. Park-like fenced backyard & large deck. Fam rm with gas fireplace. Formal dining and living room. Main floor laundry with adjacent bath. Huge master suite with walk-in closet in master bath with garden tub, & oversize shower. Gas heat & a/c, cent. vac. 2 Paved and Circular drive.